Fees associated with filing trademark applications in Mongolia as well as other trademark fees are available in the fee calculator. 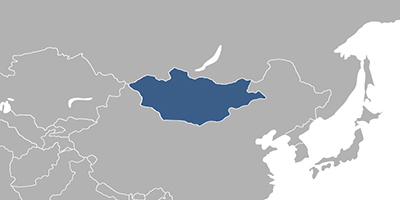 Multiple-class trademark applications are possible in Mongolia. To obtain a filing date, it is necessary to provide the Intellectual Property Office of Mongolia with the request for registration of the trademark in Mongolia, with name, address, nationality of the applicant and ten copies of a figurative element of a trademark. Legalisation of a POA is not required. It should be submitted within two months from filing a trademark application in Mongolia. Trademark in Mongolia is valid for ten years from the date of filing. Filing oppositions against pending and registered trademark applications is possible. Trademark registration may be renewed for successive 10-year periods. A request to renew a trademark may be submitted within twelve months before the expiration of a trademark or six months after the expiration. If a trademark is not used for five consecutive years, it can be cancelled based on use requirement. It is required to perform a trademark registration in Mongolia through an agent, a registered Mongolian trademark attorney. Online database for International Trademarks.